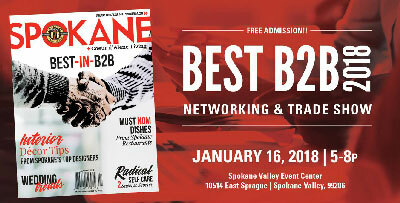 Bozzi Media, in conjunction with Spokane Coeur d'Alene Living, is celebrating Catalyst's Best in Business-to-Business awards with a business trade show during their Third Tuesday networking event this evening at the Spokane Valley Event Center, 10514 E Sprague Avenue. Grow your professional community and let your personal brand shine during this FREE business networking event featuring 30 vendors and more than 200 guests. Register via Eventbrite click here. Angela Anderson has joined Contract Design Associates as an Account Manager for their Office and Showroom located in Missoula. 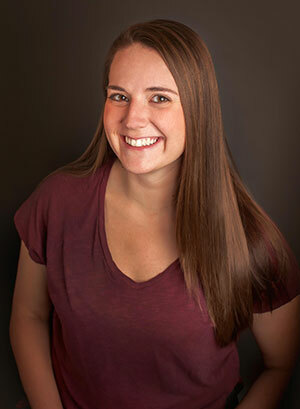 Angela graduated from the University of Montana in 2014 with a Bachelor in Fine Arts and brings ten years of residential design and remodel experience to the company. 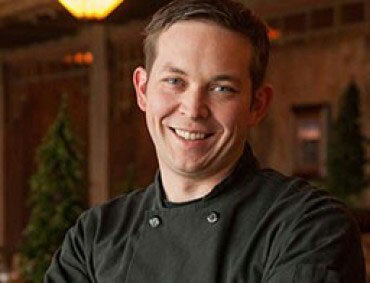 Adam Hegsted is one prolific chef. He continually raises the bar in the Inland Northwest's restaurant business. Last week we reported about his new Incrediburger and Eggs restaurant opening this month in downtown Spokane. He's been busy in downtown Coeur d'Alene as well, planning to open a new place there called Honey Company in his former Cellar location at 317 Sherman, which he closed last January. The new restaurant which will open in March or April will offer a casual, affordable menu upstairs and a speakeasy-style bar downstairs. 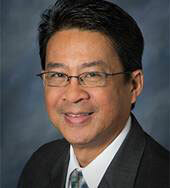 The INBA Board has announced that Marvin Reguindin is stepping down as the General Manager of the Inland Northwest Business Alliance. For over two decades, Marvo has poured an abundance of personal and professional time into INBA, developing it from a small business networking club to a respected and effective LGBTQA business chamber. Marvo has served in several key roles for INBA over the years. After serving as a board member and board president beyond the term limits, he stepped into the role of General Manager to provide consistency and to help keep INBA's vision alive. His replacement has not yet been named. Marvo Reguindin runs Thinking Cap Communications & Design, visit tcapdesign.com. Building permit activity in the city of Spokane was up 25 percent in 2017 over the previous year, with value of the permits over half a billion dollars at $515 million. A rise in new construction, totaled $312.4 million, a 50 percent increase compared with 2016. No-Li Brewhouse celebrated another year of growth both in sales and impact on its local and regional economy, the Spokane-based craft brewer reported with the release of its 2017 economic report. No-Li reported a 28 percent increase in total sales in 2017, while also donating more than $50,000 for local nonprofits and engaging in new partnerships with cultural and community organizations in Washington. No-Li Brewhouse is an independent, family-owned craft brewery founded in 2012 and located at 1003 E. Trent in Spokane's University District. The website is nolibrewhouse.com. For nearly fifty years, LCD Exposition Services has served customers of the Northwest with exhibit/event solutions. From simple pipe and drape, to elaborate exhibit hall decorations, LCD Exposition Services provides quality rental equipment and expertise to handle every aspect of an event. 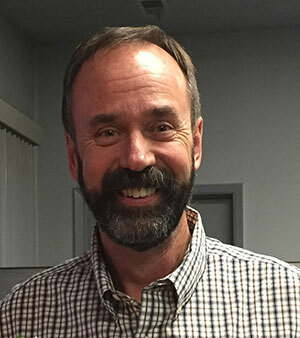 After nearly thirty years at the helm of LCD Expo, Ken Quimby and Barbara Lockard have decided to retire and offered the business to new owner, Stuart and Roseann Boylan of Spokane. The business and staff remain at the current 220 E Augusta Ave location. Stuart will be on-site running the day-to-day operations. Under the direction of Ken and Barbra, LCD Exposition Services has grown into a regional exhibition service provider. LCD Expo's staff offers extensive knowledge of facilities in the Northwest and provides peace of mind by meeting deadlines with up-to-date equipment and event-planning services. The Vanessa Behan Crisis Nursery, a local non-profit organization dedicated to preventing child abuse and neglect in our community by keeping kids safe and strengthening families, is celebrating a record-breaking 30th year. In 2017, 5,619 little ones were provided safe loving care by Nursery staff and volunteers, (an astonishing 353 more children than the prior record breaking year!). While the Nursery takes a moment to celebrate this huge success, they know that there are still thousands more children and families who need help. Because of this need, the Nursery is also busy fundraising, designing, creating and implementing change which will allow them to move to their new home in the coming years to care for even more children and families in our community. For more information about Vanessa Behan Crisis Nursery, visit the website at www.vanessabehan.org. 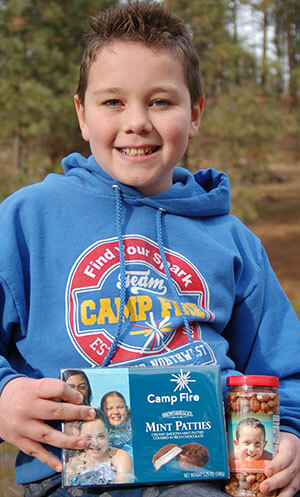 The Camp Fire Candy Sale is just around the corner! Photo ID - Keller Hutsell Zandell, top candy seller in 2016. Camp Fire Inland Northwest's annual Candy Sale takes place starting January 27 through February 25. Camp Fire Kids ages pre-kindergarten through high school will hit neighborhoods and store fronts in Eastern Washington and Northern Idaho, hoping for sweet success. While the candy sale only runs for a short time each year, the children learn lessons that last a lifetime. Youth learn life-skills such as confidence, integrity, persistence, goal setting, money management and personal responsibility. These skills enable them to become successful adults and community-minded leaders. They also earn their way to attend summer camp and other experiences. Candy Sale product choices include the famous chocolate mint patties, caramel almond clusters, Almond Roca, P'Nuttles toffee peanuts and Camp Snax trail mix. Each package is $6. Proceeds from the sale support Camp Fire's youth programs, and more importantly, give kids the opportunity to attend summer camp at Camp Dart-Lo in Spokane or Camp Sweyolakan on Lake Coeur d'Alene. For many kids, summer camp is the best week of summer, and Camp Fire believes all kids should have the opportunity to attend. You can find Camp Fire sellers at Rosauer's, Super 1 Foods, Yoke's, Walgreens, Fred Meyer, Kmart and select area Wal-Mart stores in the Spokane and Coeur d'Alene areas. For additional information on local Camp Fire programs, visit www.campfireinc.org. Tomorrow, Wednesday, January 17, Spokane SCORE Chapter 180 presents a workshop on Marketing and Sales Essentials: How to Find Customers and What to Do With Them. Gain insights into how to identify your prospective customers, how to attract them to your business, and how to get them to buy your products and services. 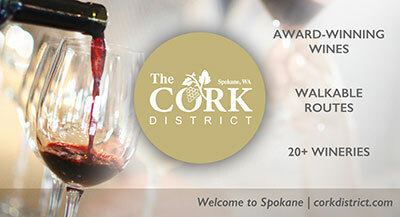 Workshop location is the Spokane SCORE office, 801 W Riverside, Suite 444, from 8:30am-12:30pm. 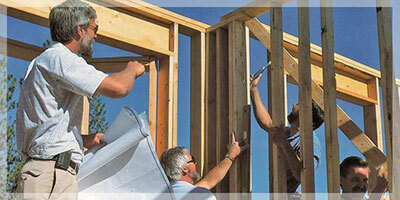 Each workshop requires a minimum of three registrants. If you are enrolling a day or two before the workshop is scheduled, or plan to enroll at the door, contact the SCORE office to find out if the minimum registration criteria has been met. 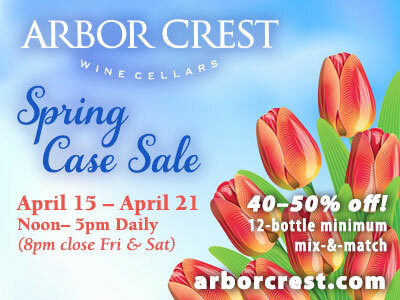 For more information and to register,visit www.scorespokane.org. "You have within you, everything you need to deal with whatever the world can throw at you."